As a business option, franchising has become increasingly more popular over the years and there are now approximately 140 franchise systems in operation in Ireland. The costs involved in setting up a franchise can vary considerably depending on the type of franchise. Franchising is a great way to work for yourself, but not by yourself. Talk to a business adviser today. Franchising has become an integral part of our economy and has experienced exceptional growth in recent years, and as such Bank of Ireland, Business Banking understands the importance and development potential of this sector in Ireland. We are committed to working closely with new and existing customers to enable them to develop and grow their chosen franchising business. Franchising forms part of the Specialist Sectors in Bank of Ireland and is located at Business Banking, Mespil Road, Dublin 4. The Franchising sector is managed by Margaret Nolan (pictured left) at Mespil Road and customers interested in franchising can avail of expert business and financial advice, or can contact any one of the 600 experienced business bankers in over 270 branches nationwide. All are available to support the franchisor/franchisee in progressing any aspect of a lending package, can offer advice and expert financial support on all aspects of franchise development. Bank of Ireland Business Banking's franchising proposition is one of the most comprehensive in the marketplace with a wide range of products and services to offer customers, e.g. 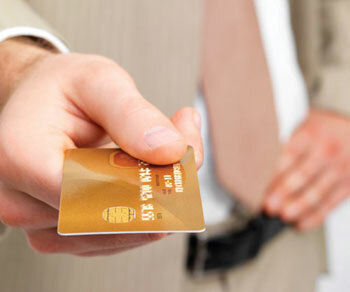 small business loans, overdrafts, leasing, business credit cards, Business online and many more. Please see www.bankofireland.ie/business. There are one of two ways to process your application, regardless of where you are located or which franchise you are interested in. You can make an appointment with Margaret or you can call into your local branch to see the Business Adviser or Business Manager who will be able to assist you. If you decide to contact the Franchising sector Manager at Mespil Road, you will avail of expert franchising advice, and if and when you wish to process your application further you will be introduced/referred to your local business banker. You can decide which branch suits you best of the 270 Bank of Ireland branch network. On the other hand if you wish to contact your local business banker in the first place, they can liaise with Margaret at Business Banking, Specialist sectors, Mespil road if required. The process is very simple and no matter which choice you make you will receive all the necessary financial and franchising advice/expertise necessary. In terms of funding a Franchising proposition, Bank of Ireland will expect a potential franchisee/franchisor to provide a portion of the total investment cost as equity, ranging from 30 per cent for established franchises to 50 per cent in the case of new franchises. Success rates for new franchise businesses are much higher than independent start-up businesses making them a much more attractive lending prospect from a banking point of view. The combination of a strong franchise with a proven track record, and a ambitious franchisee makes good business sense. The 'pilot operation' should be in operation for at least one to two years and have financial statements to prove it is a profitable business. The track record should be strong enough for both the Bank and the potential franchisee to be comfortable with the investment. It should have a proven track record in the Irish market. As potential franchisees are virtual start-up businesses, they can also avail of the Bank of Ireland Business Start-Up Pack, which includes many concessions and benefits. Please see www.bankofireland.ie/business for more details. A detailed Business Plan will be required for any proposal.